Banks must reserve capital to cover unexpected operational risk events, where operational risks are those that occur from running the business rather than potential losses from trades and loans. 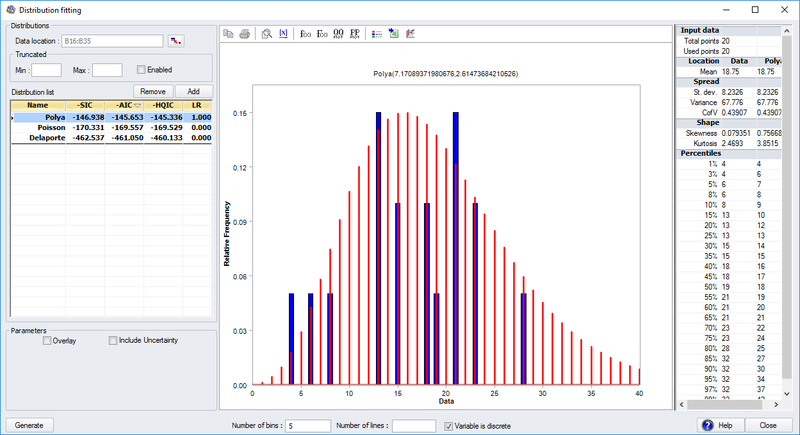 This model illustrates how one can use distributions of frequency and magnitude fitted to data to determine the probability distribution of largest loss that might occur due to fraud over the next year. It calculates the capital charge, the amount to be held in reserve, to be 99% sure of covering losses from this risk. 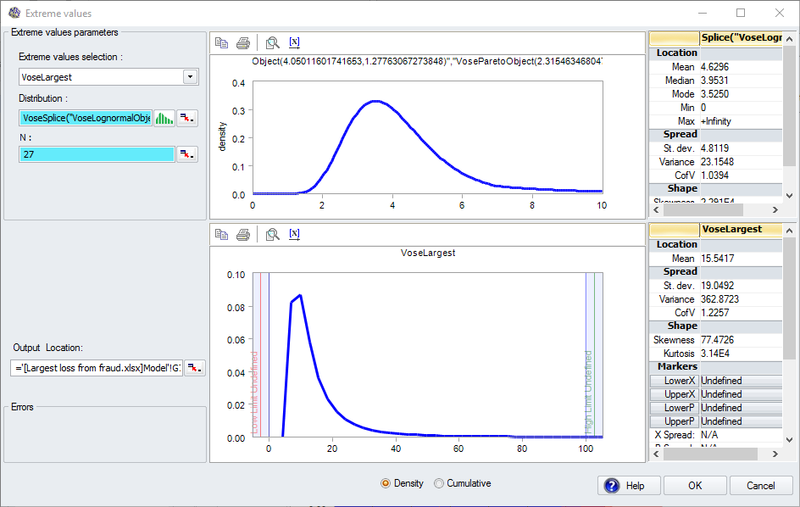 The model uses tools for fitting distributions to frequency and loss severity data, and automatically selecting the best-fitting distributions. 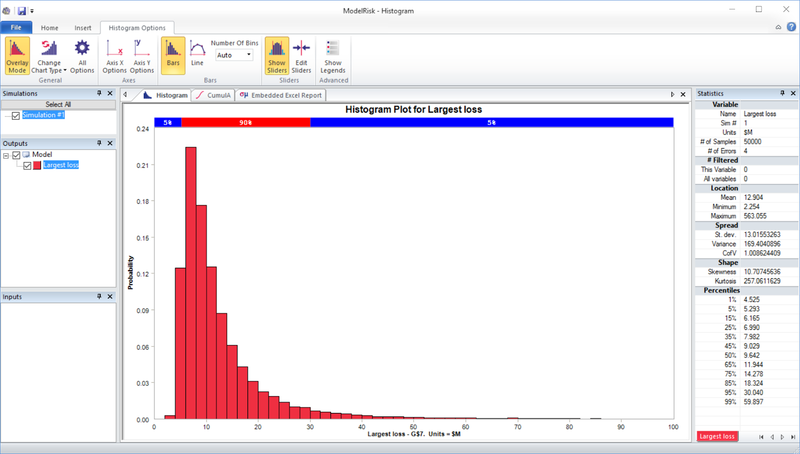 It also uses a special ModelRisk function for determining the largest loss that may occur. 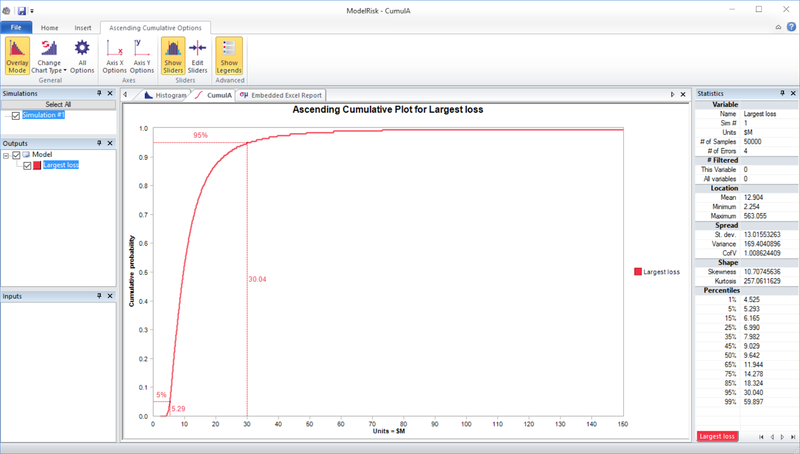 The model takes about 31 seconds to run 50,000 samples, a large number that is necessary to give a precise value for the 99.9th percentile. 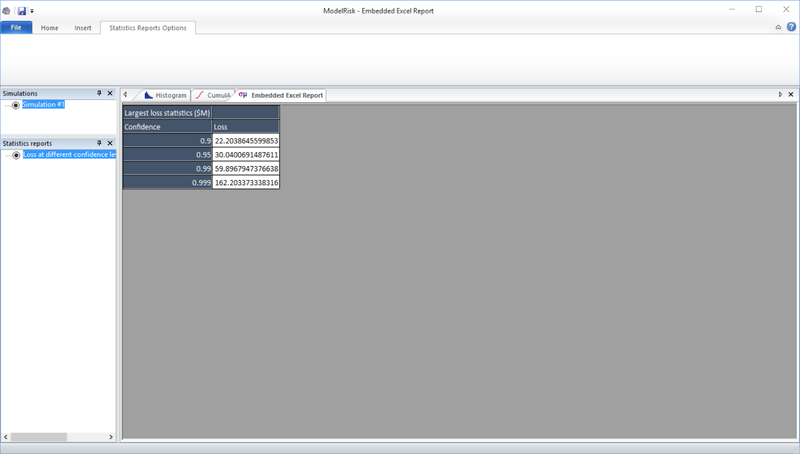 It is set up to directly show three reports within the ModelRisk ResultsViewer at the end of the simulation, which are described below. This shows a loss ranging from about $2M to $50M, most likely around $7M.